Bounties, salary cap screw-ups and a block-buster trade for an unproven quarterback? You’ve been busy…or perhaps, I should say Bruce Allen and head coach Mike Shenaniganhan, have been busy as you TURNED OVER “football operations” to “football people” some years ago. Cleverly, you did all of this under the COVER of the end of the regular season for NCAA men’s basketball and the beginning of March Madness. However, we must address The Curse. 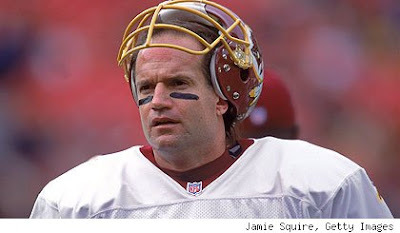 Yes, the “Curse of Daniel Snyder” that has produced the likes of Bruce Smith, Deion Sanders, Brandon Lloyd, Adam Archuleta, Jeff George, Steve Spurrier, Jim Zorn and, of course, our current favorite Rex Grossman – much cheaper than the others, but no less ANNOYING. Knowing and now fearing this DREADED curse, we are bracing for the inevitable. 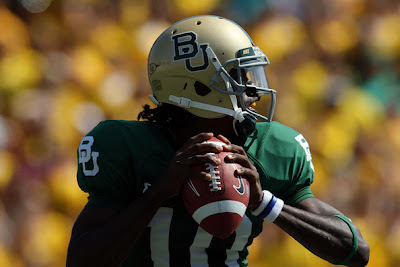 In spite of all the experts placing RG3 on the expressway to Canton, we worry that The Curse will cause him to be a BUST. To make matters worse, it will take years for your guys to admit defeat and all the while we suffer through losing season after losing season, the St. Louis Rams will capture MULTIPLE Super Bowls with all the draft choices you gave up to get 2011 Heisman Trophy winner. There’s another Hall of Fame QB in the news, you may have heard of him…Peyton Manning? Perhaps we should have KEPT the draft choices and further mangled the salary cap by Signing PM? 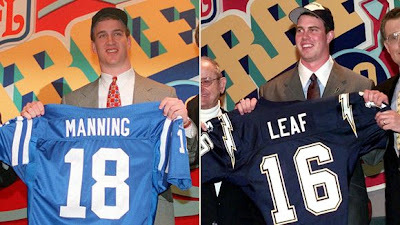 Speaking of Peyton and RG3, do you remember the debate the year he was drafted? The conversation centered on a central question: Should Manning or Ryan Leaf be the number 1 pick? That said, word on the street is that reluctant season ticket holders are returning to fold based on the PROMISE of young RG3…We never imagined when a day would come when there wasn't a WAIT LIST for season tickets. Cursed, I’m TELLING you, CURSED. Hey, we love the KID and we look forward to watching him play. If he's as good as Cam Newton, the Redskins will be exciting to watch once again...Hopefully, he's so strong, he's stronger than the CURSE.